This is an extremely easy recipe to throw together. 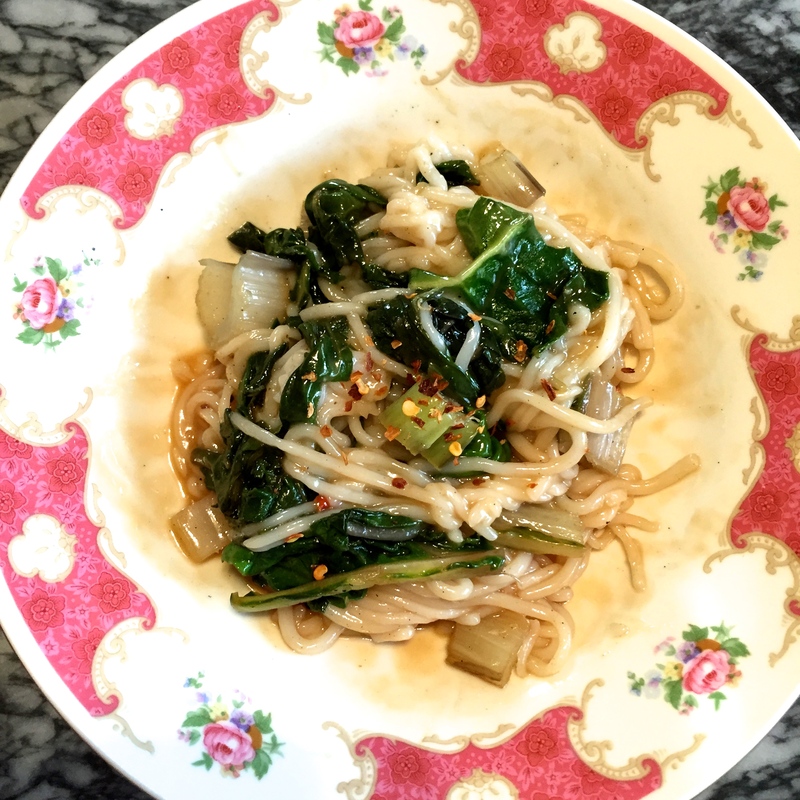 Rice noodles cook in 1-2 minutes and are healthier than regular whole-grain pasta. 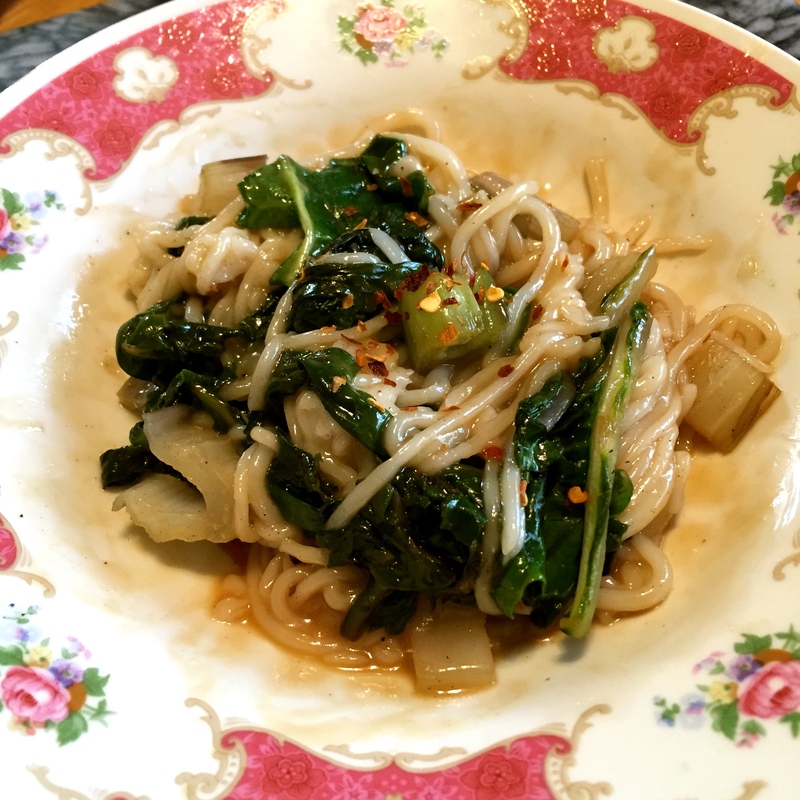 The sweet and sour sauce masks the flavor of the greens so even my little brother (who’s 7) enjoyed these noodles. Boil water and cook noodles for 1-2 minutes. Do not overcook, otherwise the noodles will get mushy and stick together. Sauté the greens until wilted. Combine the greens with the noodles. 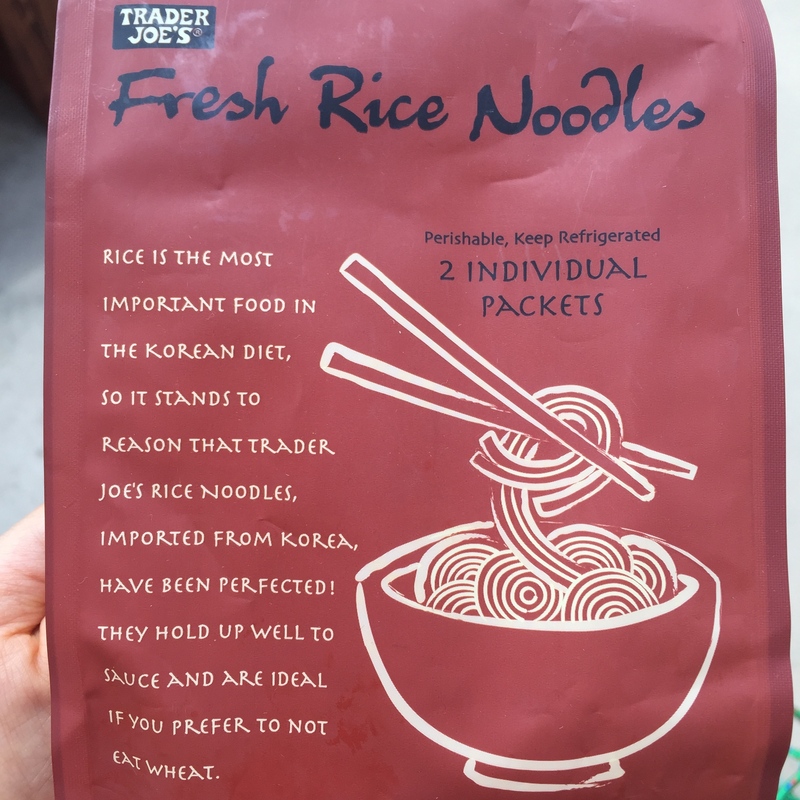 Combine ingredients and pour over the noodles. Sprinkle chili flakes on top.